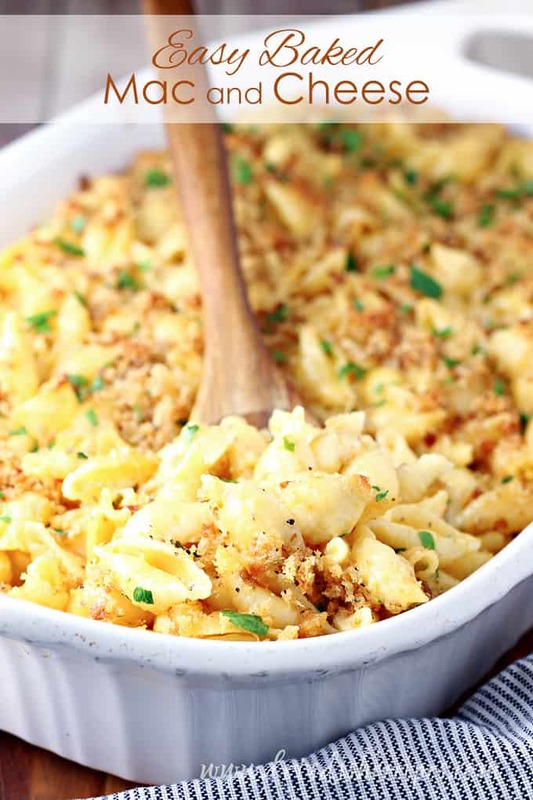 EASY BAKED MAC AND CHEESE — Made with four kinds of cheese and a buttery breadcrumb topping, this delicious, creamy mac and cheese is sure to be a favorite of both kids and adults alike. 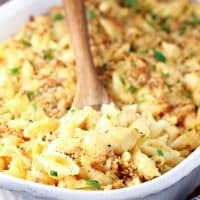 I originally posted this recipe for Easy Baked Mac and Cheese a few years ago, but I’ve made some minor changes since then and wanted to share it again. I’ve tried a lot of different recipes and methods for homemade mac and cheese and I finally came up with this. 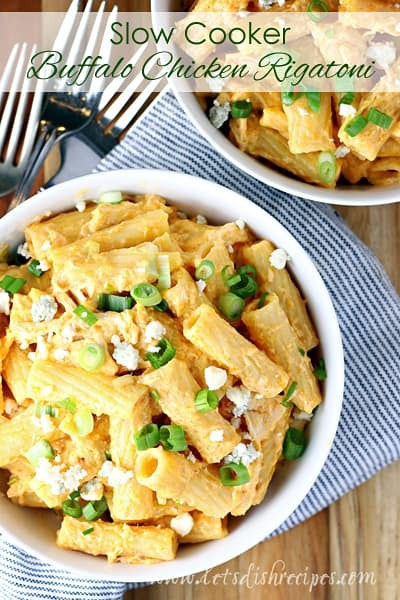 It’s almost as easy as mac and cheese from a box, and much tastier! We like to make this with shell pasta, because all that cheesy goodness gets trapped inside the noodles. But it’s just as delicious with good old elbow macaroni too. Really, you could make this mac and cheese with almost any kind of pasta. Just don’t forget the breadcrumb topping because it’s what makes this dish extra special. Don’t worry that your cheese aren’t melted and smooth when you first mix things together. Everything will come together in the oven. As an alternative to baking, you could mix everything up in a large saucepan until the cheese is melted and creamy. You can also substitute extra cheese for the breadcrumb topping. Or why not do both? My whole family loves this baked version of the classic pasta dish. It’s easy and it’s cheesy. What more could you ask for? 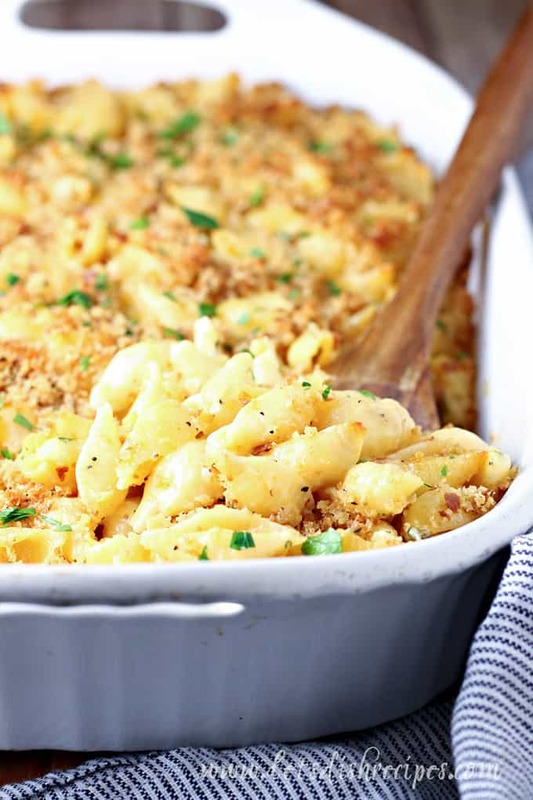 Be sure to save this Easy Baked Mac and Cheese recipe to your favorite Pinterest board for later. 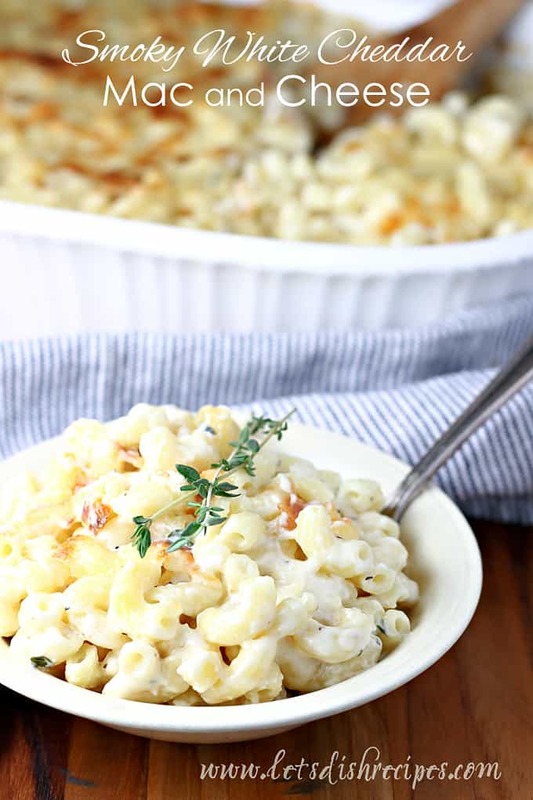 Made with four kinds of cheese and a buttery breadcrumb topping, this delicious, creamy mac and cheese is sure to be a favorite of both kids and adults alike. Preheat oven to 350 degrees. Cook pasta according to package directions for 8-10 minutes or until al dente; drain. Meanwhile, melt 6 tablespoons of the butter. Transfer pasta to a large bowl and toss with melted butter. Stir in cream. Add shredded cheese and Velveeta and mix well. Season with salt and pepper to taste. Pour pasta mixture into a greased, 9x13 baking dish (cheeses will not be melted yet). Melt the remaining 2 tablespoons of butter and stir into the breadcrumbs. Sprinkle the breadcrumbs over the macaroni. Bake for 30-35 minutes or until cheese is hot and bubbly and topping is golden brown. I love this recipe and have made it several times. Is there a way to make ahead of time and freeze or refrigerate? Trying to plan meals for the week that I can mostly prepare ahead of time. Appreciate your thoughts! Can this be made ahead of time and baked later? I really enjoyed your original recipe but I never saved it- any possibility you can share it? Sorry, when I updated this recipe I saved over the older version. This one is very similar though. You might not even notice much of a difference. I made this for Easter Sunday with a glazed ham. It was delicious and so easy!! 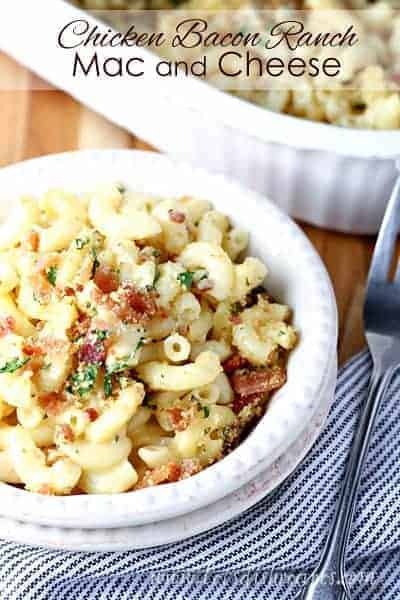 I’ve been looking for an easy Mac and cheese recipe that still tastes great, and this one fits the bill!